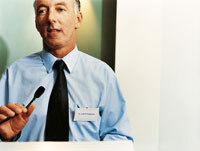 Do You Have the Symptoms of Extreme Fear of Public Speaking? Did you ever turn down a promotion because you expected that more demands would be placed on you to speak in public? Do you routinely concoct excuses (brilliant or lame) to avoid demands to speak in public? If You Experience Any of These Symptoms, Call Us Today!